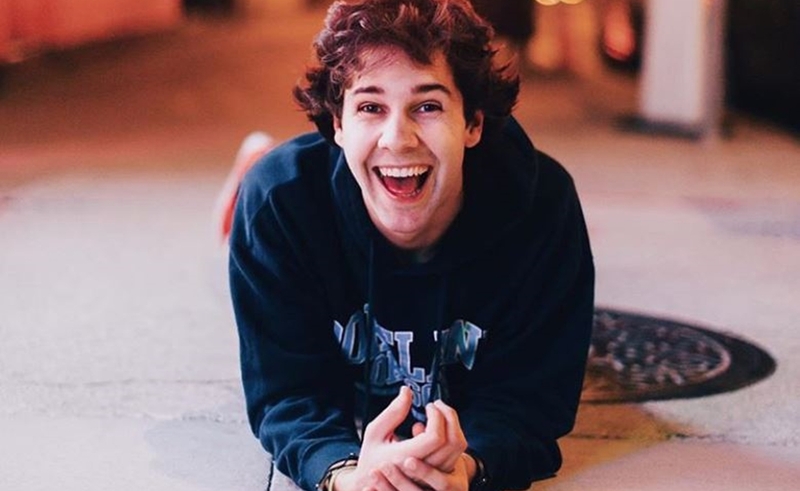 David Dobrik has snagged 10 million subscribers — a towering figure, the 22-year-old notes, that’s nearly twice the population of the country where he was born. Dobrik’s native Slovakia counts a reported population of 5.4 million — though his family immigrated to Chicago when he was just a child. Dobrik is not technically a U.S. Citizen — which has become a particularly knotty status in recent months due to President Trump’s move to end the Deferred Action For Childhood Arrivals (DACA) program. Being that Dobrik is a so-called DREAMer (in reference to the Development, Relief, And Education For Alien Minors Act), he is currently unable to travel internationally without being barred from reentry into the U.S. for ten years. Dobrik first rose to fame on Vine, and he posted his first YouTube video in Feb. 2015 — meaning that it has taken him just under three years to cross the milestone. (Dobrik officially hit 10 million subscribers on Friday). He is best known for his jam-packed vlogs, brimming with stunts and jokes featuring his friend group, known across the web as the Vlog Squad. Dobrik’s voyage to 10 million subscribers was breezy, but he’s not the quickest creator to nab a Diamond Play Button. That honor belongs to Logan Paul, who achieved the feat in under a year — 333 days to be exact. For her part, Dobrik’s ex-girlfriend and frequent collaborator Liza Koshy surpassed 10 million subscribers in just two years. Dobrik recently participated in Wired‘s Autocomplete Interview series, where he discusses his celebrity crush (Ariana Grande), his middle name (Julian), and his numerous Streamy wins.